The story goes all around Choi Kang Woo, a former police detective and veteran leader of “Taeyang” Insurance research team. 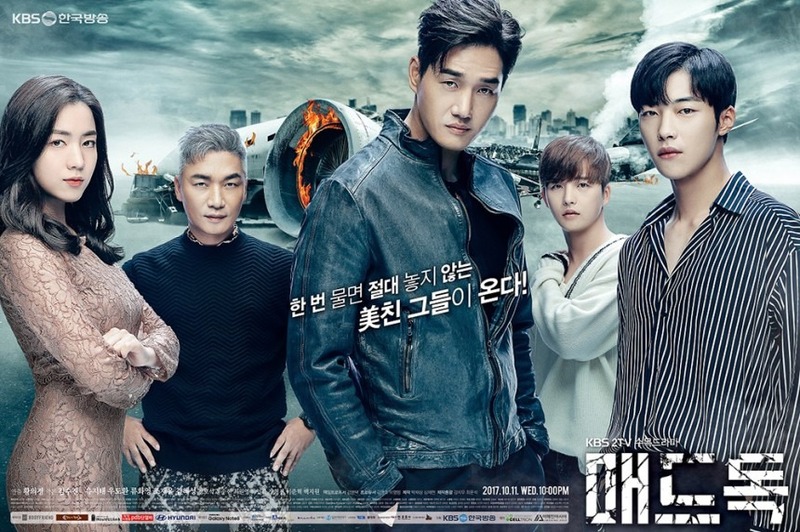 However, when his wife and son die in a plane crash, Kang Woo decides to form his research team, which he calls “Mad Dog Cooperative.” Together with his team, he investigates insurance scam cases until a young man, Kim Min Joon, appears with the opportunity to find out who was responsible for the death of his family and the sixty-seven people of the one hundred and ninety passengers aboard the “Juhan Air 801” flight. The drama focuses on the reality of South Korea life insurance fraud. The percentage of people who contract life insurance in Korea is 95% (according to the data provided by the drama). Thanks to that 95% of people who pay millions of Won a year in insurance, insurance companies manage to handle an unimaginable amount of money. 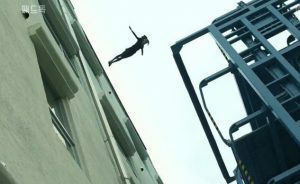 Therefore, there are all kinds of insurance scammers; there are even fashions and trends in insurance fraud, this is the foundation for the story, it also serves as a prelude for the “Mad Dog” team to take action. As the drama begins, we see each of the members show off their abilities and strengths to expose insurance scammers, with their leader Kang Woo supervising everything from a distance. 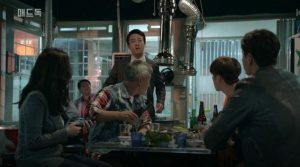 The first episode shows a bit of the chemistry and teamwork between Kang Woo, Ha Ri, Soon Jung and Noo Ri, current members of “Mad Dog”. 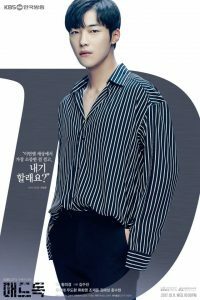 With another case closed, after having a brief chat with the president Cha of insurance “Taeyang” (who will be fundamental for the plot in the future). 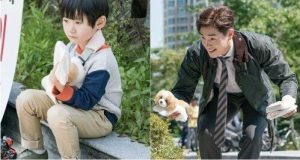 Kang Woo observes a man protesting with his son, touched to see the injured child, Kang Woo decides to listen to their case. The man and his child with many other people happened to be expelled by the tenant of their building, which partially collapsed hurting the man’s wife and leaving them homeless. With the tenant of the building refusing to pay compensation for the accident to the people affected, it is the job of the “Mad Dog Cooperative” to prove that the company built the building with poor quality materials, causing the collapse and pay the corresponding compensation. 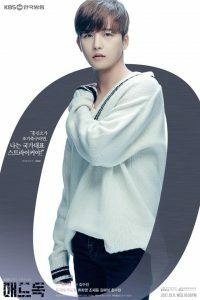 The investigation is altered with the introduction of a new character, the naive, Kim Min Joon, an employee of the construction company, who continues to stand in their way, determined to prove the innocence of the company for which he works. 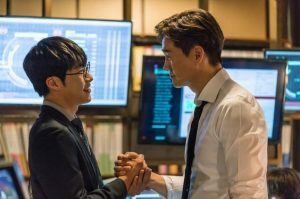 Min Joon makes a bet with Kang Woo that will change the future of “Mad Dog” forever and will intertwine the lives of the main characters. Kim Min Joon reveals to be the younger brother of the late pilot of the “Juhan Air 801” flight that crashed two years before the storyline, supposedly in a suicide attempt from the pilot, taking many lives with his…including Kang Woo’s wife and son’s life. 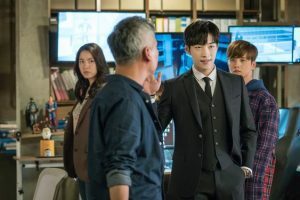 It is Min Joon’s ultimate goal to clear his brother’s name as he is confident that there was more into the accident than what it appears to be. I won’t say much more because it would reveal too much of the story. 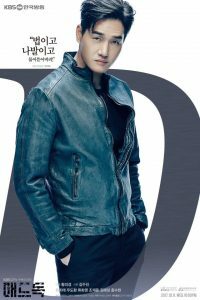 Frankly, I love this drama, the chemistry between the characters was really good, the character of Yoo Ji Tae was fantastic, and he took charge of personifying it realistically. When you see Kang Woo, and you get to know everything he’s been through, not only you become fond of the character, but you also come to respect him because he is a man of values who defends and protects what he considers sacred even if he has to sacrifice himself. On the other hand, he is not invulnerable and has let himself fall a little since the death of his wife and son, so he is a real character with whom you can identify. 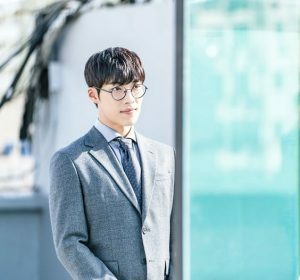 Woo Do Hwan’s participation is also very good, he doesn’t have half the experience in acting unlike some of his co-protagonists, despite this he developed a very versatile role, passing from one character to another in the skin of the very keen Kim Min Joon. The development of the relationship of the members of “Mad Dog” with the intruder of the team was slow and adequate (understandably, at first they hated him), but as the drama unfolds they come to appreciate him and worry for him making his character also grow and develop. Jo Jae Yoon, a well known and versatile supporting actor, gives life to Cheetah. His relationship with Noo Ri seemed adorable to me. I have no complaints about him, the man performs very well in any role he plays, be it, hero or villain, and the cheetah was a character who appeared where he had to appear, and his interactions with the other characters were refreshing and fun. On the feminine side, the most influential female character in the plot is the only female member of the “Mad Dog” team, a beautiful woman who doesn’t need a savior, a tough and sharp woman. Her insinuation of romance-not romance with Kim Min Joon gave the drama the touches of flirtatiousness that the series lacked, of course, “Mad Dog” is not a romantic drama, but a little romance in my action dramas doesn’t hurt at all. Deus x machina: It has become customary for me to hunt for the Deux x machina in all the series, dramas, and movies I see. This refers to any plot that is resolved through an element, character or external force that has not been mentioned before and has nothing to do with the characters or the internal logic of the story, like when a complication arises in the plot, it seems that our heroes will lose and suddenly, Pffff! A savior appears from the nothingness that no one saw coming and saves the day, leaving the heroes free of any negative consequences. I can say that the drama was reasonably free of this evil, even the solution that puts the villains behind bars implies that a team member must sacrifice himself for the greater good and pays for the consequences. Excellent, very realistic and gives more drama to the moment. If I wanted to complain about something maybe it would be the soundtrack, the drama lacked music, although, well I will not complain so much, in general lines. I loved it. Totally! With candy bars and soda. Sit and enjoy.